The FRC 2011 Board Effectiveness Guidance defines the board’s role as ‘to provide entrepreneurial leadership of the company within a framework of prudent and effective controls which enables risk to be assessed and managed’. This is consistent with other regulatory authorities and makes the point that the board is there to assess and manage risk and not to stop it all together. The structural elements should be considered as a qualifying criteria and foundation to create the platform and conditions for board effectiveness. Governance framework Ensure the company has a governance structure that is sensible and effective for its business and its aspirations – governance is not a one size fits all. Does governance go beyond the paper policy and become an active part of the operations management? Board composition Is it fit for purpose, are the capabilities right, both now and for the future and is there active ongoing consideration of these needs? An effective board needs a range of NEDs who are independent, have experience and knowledge of the industry, are financially literate and who can take a broad strategic perspective within and beyond the sector. Considerations should also include whether the sector is under threat, facing disruption or in a downturn, as these will shape the skills, knowledge and experience needed on an effective board. At the same time, an effective board also needs a diversity of thinking, that can build upon an ‘expert’ view to achieve a collective intelligence that minimises bias and filters to effective decision-making. Board information Given the asymmetrical knowledge between full-time executives and part-time NEDs, the ‘board information’ and ‘papers’ should be specifically designed to aid rapid assimilation, ease of engagement with the key issues and avoid dense, irrelevant detail. Timeliness, while always an issue, needs to balance the tension between historical and current information, with digital delivery tempting late entry data which is difficult to ignore, but which often debilitates effective decision- making. The above elements, when achieved effectively, are supportive of good decision-making. However, the time, energy and focus that boards devote to key operations, strategic challenges and sustainability are vitally important. This effective oversight engagement, is a difficult but important balance. Too much time concentrating on the dials, without looking at the road ahead, has caused many a corporate ‘car crash’. Performance monitoring This is often the slickest part of a board’s oversight. Usually a board will have plenty of financial expertise and a strong audit committee to delve into the detail, with KPIs abounding. What can be less impressive, is calling out when things start to slide in the wrong direction. Some of the research data on board effectiveness suggest ineffective boards, through lack of interaction, are more reluctant to call out weakening performance, especially where the CEO is in a dominant position. Strategy interaction How a board handles its strategic input and interaction is an important marker for an effective board. Question: is an effective board one in a booming sector, which allows the CEO and executive team to get on with it without too much interference? The watch words for strategic interaction should be sustainability and long-term value. Above all, the board’s role in supporting the strategic aims of the company should be defined and well understood. The board should be using its independence and expertise to support and enhance the strategic considerations. It should equally, clearly define the criteria for success as the company embarks into less well-known territory. 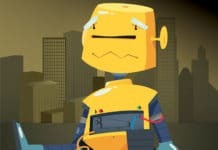 One veteran NED has a simple set of questions he poses as the ‘PowerPoint’ glides effortlessly into unknown territory. Has anybody ever experienced this? Have we ever achieved anything of a similar scale/disruption? What is the probability that we have the resources and capability to succeed? These questions were not designed to ‘kill’ a strategic initiative, but to engage the executive in a dialogue to better support success. Knowing the unknown Effective boards, by dint of their NED capability, have a wealth of skill, experience and knowledge to steer and support the executive team through unchartered territory, heightening the awareness of what is needed to succeed. Experienced NEDs will, however, be sensitive to the levels of scrutiny required for different levels of risk. Ludo Van der Heyden, INSEAD Professor Corporate Governance, has articulated the difficulties facing boards to ‘know the unknown’. However, a sensitivity to the strategic landscape illuminates the levels of care and attention an effective board should be focussed on (see chart below). Board dynamics is often talked about, particularly the lack of it, which is blamed for many corporate disasters and dysfunctional behaviours. So, what is it and what does it look like? Essentially, it is the final mix, which builds upon our previous building blocks. It is the application of interpersonal engagement, which leverages a good governance model, engages capable and diverse directors and provides oversight on the right strategic questions and challenges. Easily said, but how is it enacted? Challenge and debate The environment of challenge and debate has many influences but there are a number which are prime and seen in effective boardrooms. How the chairman and CEO shape the environment is a key determinant of the confidence of other directors to provide constructive challenge to the executive and other colleagues on the board. The sense that decisions, initiatives and strategies will be improved and honed by a collective consideration, is a well-researched dimension outside the boardroom, so will equally apply inside the boardroom. It does, however, require commitment to this philosophy of reason and sensitivity to others. At a more prosaic level, to support board effectiveness, the information should be ‘fit for purpose’ for a board and, crucially, there should be time to undertake proper debate and discussion. Too many packed agendas of procedural and redundant information are the death knell to board effectiveness. Tone Hard to describe but clearly identified when experienced, the tone consists of an inclusiveness, often set by a chairman, who values input and views and provides an open dynamic where contribution is welcomed. Equally important is an atmosphere of tolerance of ideas and opinions, often set by the CEO, combined with a language of constructive criticism which is professional, mature and respectful. 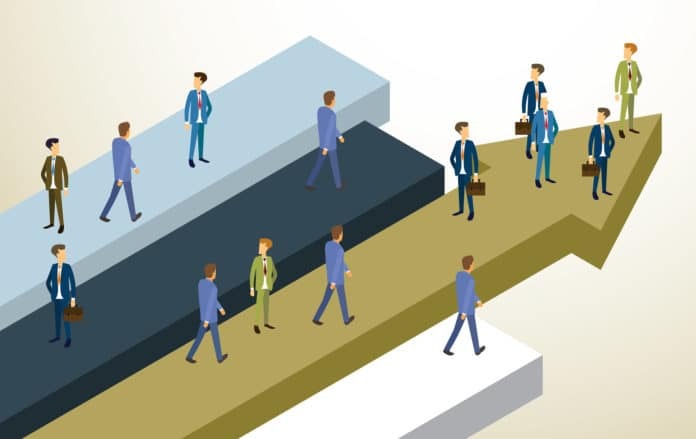 Participation and team work Unless there is an engagement and participation of the whole board, as a team, looking to make more effective decisions, the positive dynamics seen on effective boards will be stunted. This requires a tolerance of the diversity of contribution, an openness to those contributions and critically a congruence with sharing and building of ideas to a better solution. A board can have a massively competent group of individuals but if the individual ‘experts’ dominate there is no enhancement and improvement of ideas. So, what should boards look to when thinking about their own development and effectiveness? Effective boards take a self-development focus and make this part of their collective and individual agendas. They use the mandated annual and third year external review as a catalyst for their development and progression. 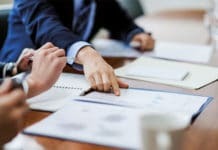 They will typically take a view point of ‘what does our board need to know about the business and the environment to support good decision-making and effectiveness?’ This places an importance on the induction of new directors and the on-going development and updating of existing board directors. There is very little available time for directors to team build in the formal sense and scant time during board meetings to look to board dynamics. Consequently, the process, events and activities they do undertake, together or in smaller groups, become important points of interaction and engagement. The formal board dinner. which is a tradition and cliché, takes on a different dimension when it is one of the few opportunities for team and consensus building. There are many other factors and characteristics that have been identified as markers of effective boards. Namely, these are size, shareholder relations, remuneration philosophy and, more recently, executive succession planning and culture, to mention but a few. Effective boards will, however, be happy and able to enter an effective dialogue to find the optimum balance of these many competing factors. Value creation is a singularly important driver for boards and board effectiveness. It colours the appreciation of a successful board. However, we can have great boards in failing companies, as we can have dysfunctional boards in successful companies. There is no guarantee that an effective board will be successful. What we can strive for is that within your company, within your environment, the board is seeking to be the best it can be. 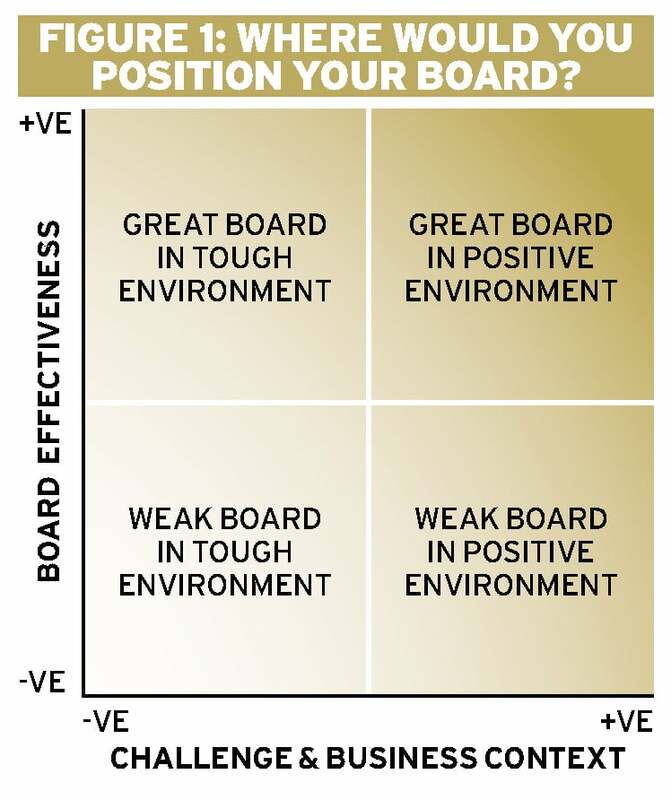 Where does your company sit on the graph of board effectiveness and the challenge of your sector? See Figure 1. Going back to the strategy question, is your company setting sail into an unknown sea, with a leaky hull, tattered sails, an undermanned crew and a demented captain? Sometimes stopping value destruction is the most effective strategy for the board. Consequently, the characteristic of an effective board is contextual and, while we can point to broad areas of good and best practice, it is the sense that a board is deliberating and engaging with its own development and effectiveness, that marks out those boards which are truly effective boards, whether their sector is in free fall or booming. What we do know, is that as a sector implodes, a dysfunctional boards’ weaknesses start to emerge and often compound the problems. One of the markers of great boards is their continuous questioning of themselves and how they can improve. 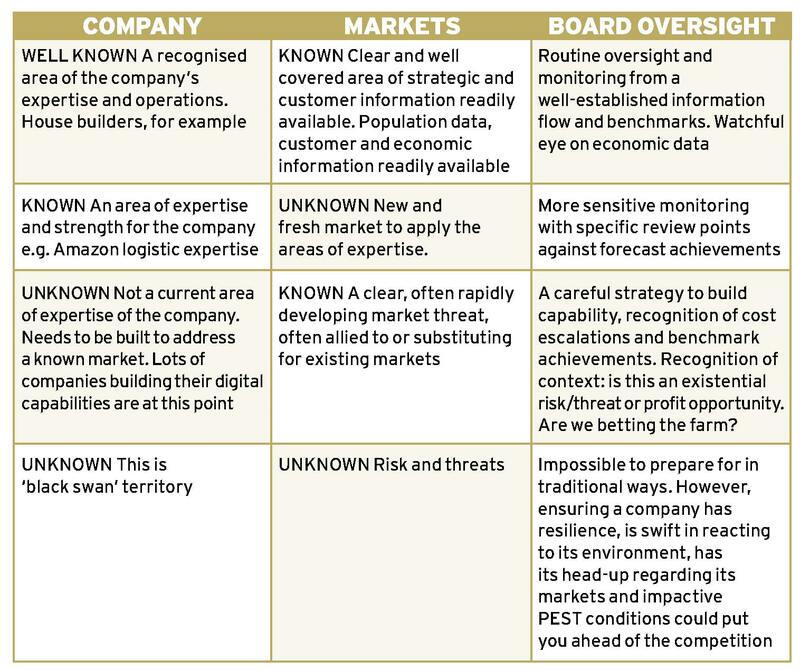 As we enter the uncertainty of Brexit, certainly a ‘known unknown’, are you on a board gearing up your awareness and intelligence for the ride ahead? There will be great challenges, but equally many opportunities. Are the right people literally on the board for this journey? Are they challenging and supporting the CEO to create an organisation that is ‘fit for purpose’ and ‘fleet of foot’ in response to the vagaries of the unknown? While the financial crisis has served up many challenges to boards, in conversation with one UK board NED recently, he was dusting off his manufacturing credentials and organising a tour of the German Mittelstand companies to increase his strategic awareness and intelligence for the coming unknown. Great companies, large and small, deserve and create great boards. It is the applied capabilities of the NEDs and executive board directors, as they engage with each other, which creates a collective source of knowledge and inspiration to achieve goals and ambitions. Helen is an experienced Board member, Chairman, Board facilitator and Coach. She works across the range of Professional Service firms, FTSE 100, Private Equity and Family firms. She has led some of the biggest Board Evaluations conducted in the last few years – many of which are listed on the Advanced Boardroom Excellence website. Helen is also coach to many leading CEOs, Chairman and NED’s across a range of sectors. She was awarded an OBE for services to business in 2015. Her Board roles are; Chairman of Advanced Boardroom Excellence, Senior Independent Director of pladis (United Biscuits, Godiva, Ülker Bisküvi), Board member CIPD, and Chairman of a number of Committees across these Boards (Audit, Remuneration, Nominations). 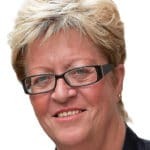 Chairman of KidsOut a National Children’s Charity and on the Advisory Board for Leeds University Law Faculty and INSEAD IDP-N.
Helen is the most recent former Chairman of the Queens Counsel Selection Panel after having served an unparalleled 8 years. Helen holds an MA, LLB (Law), IDP-C (INSEAD International Director’s Programme – Corporate Governance Certificate). She is the only Consultant in the UK Board Effectiveness arena to hold this INSEAD qualification. She is also an alumnus of the ground-breaking INSEAD Challenge of Leadership Programme. She features on the INSEAD Leading from the Chair programme. Helen is an APECS accredited coach, a Fellow of the IoD, CIPD, CIM, RSA and a Member of the European Corporate Governance Institute.